Quick and safe removal of disturbing skin lesions (moles, fibromas, age spots) are performed by experienced professionals. Some lesions can be removed dermatologically; others require surgical procedures. Skin lesions are removed carefully so that only a soft and discreet scar remains; ageing spots are scraped off the skin. We also perform specialised examinations of other skin lesions and determine whether the spot is benign or malignant and needs to be removed. It is possible to successfully and permanently change the shape of protruding or deformed ears. As the surgery procedure is performed under local anaesthesia, it is completely painless. When the child is eight or nine years old, he/she is mature enough to be operated on under local anaesthesia. A youthful appearance may be achieved by a correction of the upper and lower eyelids With an operative procedure, we remove the loose skin of the upper eyelids, fatty deposits, bags etc. A youthful appearance of the middle part of the face is achieved by lifting the middle part of the face through the cut on the lower eyelid. The procedure is carried out under local anaesthesia. The eyelid surgery may be combined with the procedure of tightening of the muscles in the outer corners of the eyes which gives the eye a mysterious feline shape. It takes one week to recover. In the past, it was only possible to eliminate the age-related changes (sunken skin and cheeks, sagging skin) by surgical procedures, today this may be done by injecting with hyaluronic acid. The effects of this procedure, which is performed under local anaesthesia and requires no recovery, are visible immediately and last one to two years, then you may repeat it. The same but lasting effect of rejuvenation may be achieved by injecting your own fat tissue. The recovery from this type of procedure takes up to three weeks. Nose irregularities may be eliminated without undergoing an expensive surgery which requires a long-term recovery. The treatment with hyaluronic acid which aggregates water allows the levelling the bridge of nose and adjusting the symmetry of the nose. The nose may be corrected under local anaesthesia, no recovery is required, and the effect is visible immediately and lasts two years. The lips may be rejuvenated by making them more full and sensual. The injection of hyaluronic acid makes the lips more attractive and retains their shape for about six months. A permanent and seductive shape of the lips may be achieved through an injection of your own fat tissue. Both procedures are painless as they are carried out under local anaesthesia. Sagging and wrinkled forehead and cheeks may be rejuvenated by lifting the eyebrows, cheeks and neck. The procedure is carried out under local anaesthesia and is suitable for persons with preserved skin elasticity. The skin is tightened by self-stretching suture locks that are placed under the scalp and temples. The effect is permanent; however, it diminishes with the years. The recovery time depends on the extent of the procedure and may last from several days to several weeks. The major loss of hair and baldness may be reduced by a combination of four surgical methods or only by one of them: the bald part of the scalp is cut out and the skin is stitched; the bald spot is covered with hair grafts, which are made from the healthy hair on the back and sides of the scalp; tissue expander is placed beneath the hair-bearing part of the scalp that lies next to the bald area. The device causes the skin to expand and grow new cells, which are used to cover the bald spot; or a section of hair-bearing skin is placed on the bald spot. The procedure will improve the look of your hair for years. After injuries, skin and infections and certain surgical procedures, thick and wide scars remain on your body. It is not possible to eliminate them entirely but with a combination of anti-infl ammatory medications, undercooling or a surgical cut and the ELOS TM technology, it is possible to narrow them and thin them down, to match their colour with the surrounding skin and make them less noticeable and aesthetically more acceptable. 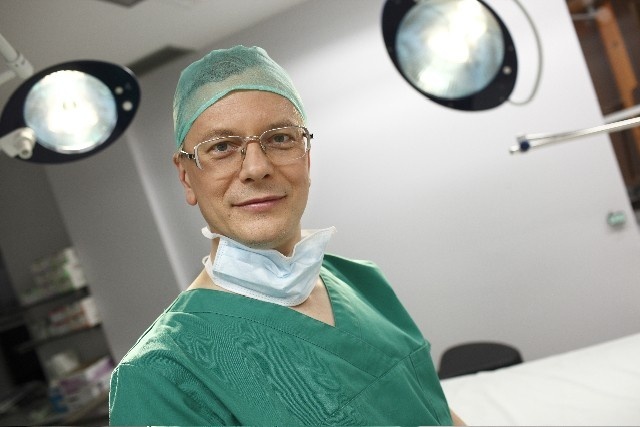 Breast enlargement, facelifting and liposuction of the abdomen and tights. This treatment with botulinum toxin (Botox) is used for the elimination of horizontal forehead wrinkles, vertical wrinkles above the base of the nose, tiny wrinkles around the eyes and tiny wrinkles on other parts of your face, neck and decolletage. Our experts will carefully inject a small quantity of botulinum toxin using a tiny needle. The effects last approximately 3–6 months, and may be repeated afterwards. Botox therapy can also aid the problem of excessive perspiration in the underarms, hands and feet. In this case, the effects last approximately 6–12 months. Well-tested Botox and temporary but natural fillers made from ingredients that appear naturally in the body. Minimum intervention for instant effects! Use of various, carefully chosen chemicals for removing the top skin layer and thus erasing the fine wrinkles, freckles, scars due to acne and similar irregularities. For a safe removal of aesthetically unpleasant benign bulging skin lesions – even on the hairy parts of the body!